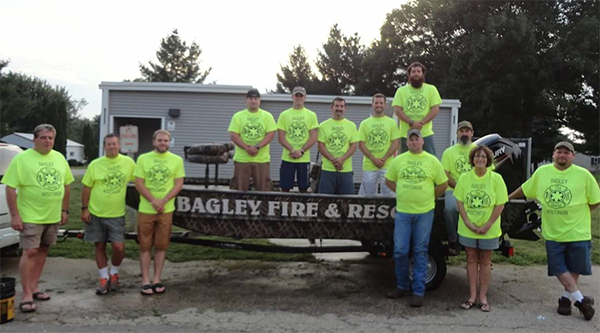 The Village of Bagley Fire Department has approximately 16 members. The department covers the village and lends mutual aid to surrounding communities. We also have a First Responder unit of approximately 14 members.